Hello Loves! I have a seriously fun product to show you today: Nail Art Films from Empower Nail Art. These films are unlike anything I've used before. They are super thin sheets of self adhesive film that offer endless nail art possibilities! 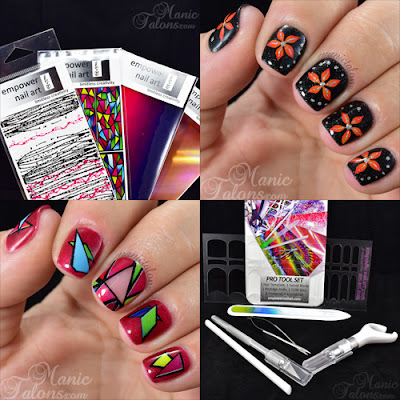 You can create full nail decals or cut out individual shapes. They are easy to apply and stick to all types of nail surfaces (bare nails, gel nails, gel polish, lacquer, acrylic, other decals, etc). Let's take a closer look, shall we? I was given 4 different sheets to play with. The sheets are 3 inches by 7 inches, which gives you a lot of room to pick and choose your designs. If you are careful with your cuts, you can get 30+ full nail decals out of one sheet! Empower also offers tool kits that include everything you need to work with the films. 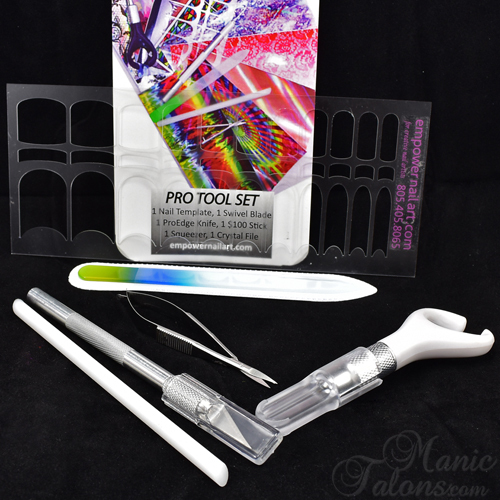 The Pro kit is the largest and includes a ProEdge Knife, Swivel Knife, Crystal File, $100 Stick, Squeezers, and a Nail Template. Let's talk about each of these tools for a second. The ProEdge Knife is a basic fixed razor knife. The Swivel Knife is also a razor knife but the blade is not fixed so it allows you to cut fluid shapes with ease. The Squeezers are one of the most interesting tools in the kit. They are tiny little scissors on a spring-like setup. When it comes to cutting out small shapes or trimming excess from the decals, these things are amazing! The $100 Stick is a pusher style stick that helps you smooth out the decals. The crystal file is used to remove excess from the free edge once applied to the nail. The Nail Template allows you to easily create custom fit decals without having to guess at shape and width. Most of the tools in the kit can be picked up at a craft store, but the Squeezers and Nail Template are complete must have items that I haven't seen available locally. Oh, the possible uses for these things is endless! 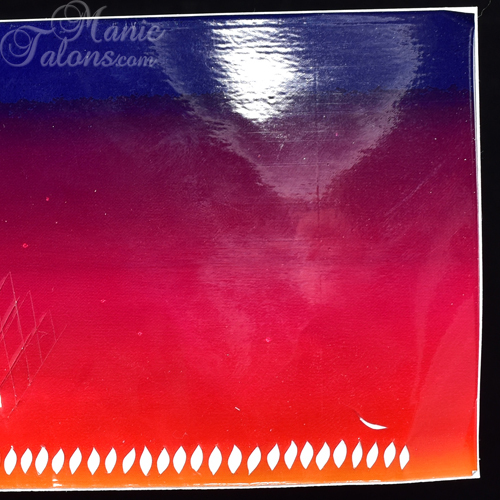 If you are into stamping decals, imagine the ease of being able to trim them to fit using the Nail Template. ;) Here's a shot of the template without the card in the background. As you can see, there are several shapes. Enough about the tools. Let's talk about the real star of Empower Nail Art: the films! On one side, you have the actual film with the design. The film comes on a cardstock weight paper that has shapes printed on the back. You can use the shapes as a template to cut out designs. I actually didn't use the printed template for anything I'm going to show you, but it's a nice thing to have, I think. Moving on...when my little box of goodies from Empower Nail Art arrived, I jumped right in with the Sunset gradient film. I don't know...maybe it's the kid in me...but I love playing with razor knives and cutting out crazy shapes. So I started with a shimmery black gel polish base. Then I cut 50 tiny petal shapes from the bottom of the gradient with the Swivel Knife. I was really surprised at how easy it was to remove the decals from the backing even after cutting them out! I used a pair of tweezers to place them on my nails and gave them a quick once over with the $100 Stick. I then added a few details with silver gel polish, cured the details, and applied two coats of gel polish top coat. The decals are so thin that you really have to look close to see that they are decals! I tried to think of a way to show you exactly how thin these films really are. Sadly, my camera didn't want to capture it. So here's my first attempt. This is a butterfly decal held by a pair of tweezers. And here's a swatch stick with the same general flower pattern with the photo taken at an angle. This is one layer of top coat. After the second layer of top coat, the edges disappear completely! I do recommend the second layer to be sure all of the little corners are completely covered and the design is protected. Want to see another design? For this one, I used the Stained Glass sheet. I cut out several of the individual shapes from the design and then use the Nail Template for a full decal with a negative space cutout on my middle nail. I'm kind of in love with how this turned out! Even with the decal pieces layered over each other, the design still looks smooth after top coat! But the biggest surprise for me was the ease of applying that middle finger decal. I usually have to fight with full nail decals to get them to fit. I have deep c-curves so decals never want to lay flat. These have a little bit of stretch to them, so placement was a dream. Since I have two more sheets to play with, I put together a few swatch sticks. Want to see them? First is this cute butterfly design. I used a craft punch for the butterfly and then used the Squeezers to cut out the curved accent pieces. The film is called Copper and is holographic. This is a macro shot, so you can see the printing in the photo. In person, the printing is barely noticeable. Finally, I created a full nail decal from the Lines film. This film is different from the others I've shown you in that it has a clear backing so the base color shows through behind the lines. I used a pale grey gel polish for my base. It probably wasn't the best color choice. There are white lines in the decal that don't show up very well, but you can see them if you look closely at the center of the swatch. Ok, now that you've seen them, I bet you're wondering about wear. I wore the black manicure with the flowers for a week before removing it to swatch other products. On one hand, I used one layer of top coat over the flowers. On the other hand, I used two layers of top coat. I found that the hand with two layers of top coat was still perfect after a week of wear. The hand with only one layer of top coat had a few corners popping up on the petals after a week. So these definitely need two layers of top coat to completely seal the design for the best results (or you can completely encapsulate them if you're working with hard gel or acrylic). I didn't wear the geometric manicure as long, but I found the full decal was still in great shape after 4 days. Sadly, I forgot to take a picture before removing it. Since I used it with soak off gel, I applied the decal directly over the base coat and then soaked it off like I would a regular gel polish manicure. Removal was easy peasy. My final thoughts: I admit, I was a little skeptical at first. I haven't had much luck with using decals with gel polish in the past. When Lucien contacted me about trying his nail films, I figured what the heck. These aren't your typical drugstore decals. 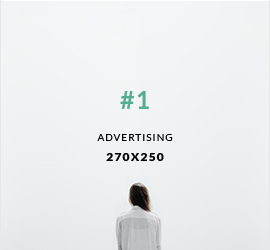 They are created with professionals in mind! I'm really glad I decided to try them. I love the freedom of the full sheets and the ability to create custom fits for full decals. I'm looking forward to playing with them more and trying a few encapsulated gel designs. The only drawback is that there are currently a limited number of sheet designs to choose from. I would love to see more holographics and maybe some floral designs! *The Nail Films and Tools featured in this post were provided by Empower Nail Art for my honest review. All links are courtesy links and do not benefit ManicTalons.com. These are great! You have patience I can tell. 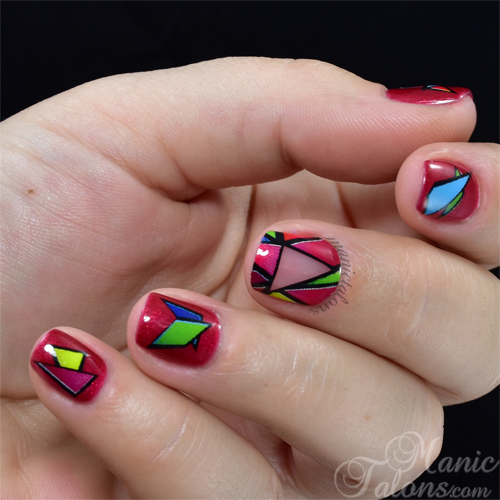 What nail polish did you use with Stained Glass? Very informative. I've seen Sarah R. on you tube use these and I was surprised at how well they stick to the inhibition layer of gel much better than the normal decals. Okay, these look so cool and those tools!! I need those squeezer scissors, like now! These look so cool! Love the looks you came up with! Wow!!! They are all so very pretty. I super love every design and colors. You really nailed it!! !